Grapevine Pinot gris disease (GPGD) has been associated with a trichovirus, namely grapevine Pinot gris virus (GPGV), although the virus has been reported in both symptomatic and asymptomatic plants. Despite the puzzling aetiology of the disease and potentially important role of GPGV, the number of fully sequenced isolates is still rather limited. With the aim of increasing the knowledge on intraspecific diversity and evolution, nine GPGV isolates were collected from different vineyards in the Friuli Venezia Giulia region (Northeast Italy), cloned, sequenced, and subjected to robust phylogenetic and other analyses. 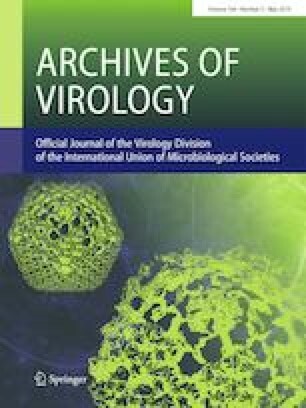 The results provided hints on the evolutionary history of the virus, the occurrence of recombination, and the presence of clade-specific SNPs in sites of putative protein modifications with potential impact on the interaction with the host. The online version of this article ( https://doi.org/10.1007/s00705-019-04241-w) contains supplementary material, which is available to authorized users. This study was funded by Regione Friuli Venezia Giulia (Italy; CUP: F22I15000110002).